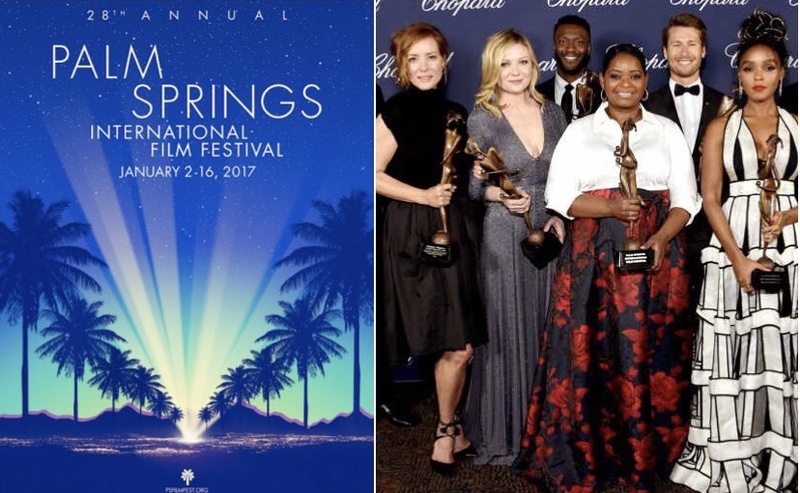 Highlights of some of the honorees at the Gala included Ruth Negga (Loving), Mahershala Ali (Moonlight), Nicole Kidman (Lion), Andrew Garfield (Hacksaw Ridge), the Hidden Figures cast (which included Janelle Monae and Jim Parsons), Natalie Portman (Jackie), Casey Affleck (Manchester by the Sea), Amy Adams (Arrival), Tom Hanks (Sully), and the cast of La La Land. Entrepreneur, humanitarian, and philanthropist, Harold Matzner, has made his home in the desert for more than 30 years. The owner of Palm Spring’s popular Spencer’s Restaurant and CEO of a NY/NJ based branding, advertising and marketing company, Harold is credited with revitalizing the Palm Springs International Film Festival and founding the successful business concept of targeted “shared mail”. Harold is one of the eleven distinguished Americans selected nationally by the Horatio Alger Association as new members this year and inducted by Judge Clarence Thomas in the courtroom of the United States Supreme Court. He also rescued and revived the world famous Palm Springs Tennis Club and turned its lunchroom into Spencer’s, one of the City’s hottest see-and-be-seen restaurants. Spencer’s is named after his beloved 110-pound Siberian husky. Mr. Matzner is in his 9th year as the Chairman of the Board of the McCallum Theatre, his 12th year as Chairman of the Palm Springs International Film Festival, and is the long-time Executive Vice Chairman of the Palm Springs Art Museum. He serves on the Board of Trustees of the Eisenhower Medical Center and Barbara Sinatra Children’s Center. He also chairs several charity fundraising events each year. He has received many awards from the charities that he supports. He has been honored by the Association of Fundraising Professionals as the “Philanthropist of the Year”, by Gilda’s Club as the “Man of the Year”, by the McCallum Muses as “Man of the Year”, the City of Palm Springs with the “Richard M. Milanovich Community Service Award”, as “Angel of the Year” by Angel View Children’s Foundation, as “Businessperson of the Year” by the Palm Springs Chamber of Commerce, the Virginia Waring “Lifetime Achievement Award”, “Richard M. Milanovich Humanitarian Award” by the Agua Caliente Band of Cahuilla Indians, and by Desert Samaritan’s as “Samaritan of the Year”, to name a few. Mr. Matzner has been a benefactor to many other non-profits, both here and on the East coast. Mr. Matzner is one of the Palm Springs valley’s largest donors to philanthropy and has contributed more than $60 million to area non-profits since 1997. Among the many local charities benefiting from his philanthropic efforts are the Barbara Sinatra Children’s Center, AIDS Assistance Program, Desert Symphony, American Cancer Society, Cabot’s Pueblo Museum, Coachella Valley Symphony, ACT for MS, College of the Desert, Eisenhower Medical Center, Desert AIDS Project, Desert Cancer Foundation, Palm Springs Animal Shelter, Jewish Family Services of the Desert, Neuro Vitality Center, Coachella Valley Repertory Theatre, Temple Isaiah, Bighorn BAM (Behind a Miracle), Tools for Tomorrow, Palm Springs Air Museum, Mizell Senior Center, Well in the Desert, FIND Food Bank, and Pegasus Riding Academy. He is credited with the key leadership role in creating Palm Springs’ Measure J (a 1% sales tax increase that has helped to fund a $200 million downtown revitalization program, while providing an additional surplus of $12 million per year to rebuild the city’s infrastructure). He is a community activist. He earns no money from any of his activities in Palm Springs, including his restaurant, Spencer’s. Mr. Matzner’s star is located at the foot of his friend Sonny Bono’s statue in the heart of Palm Springs. Harold Matzner.Com © Copyright 2017 All rights reserved.